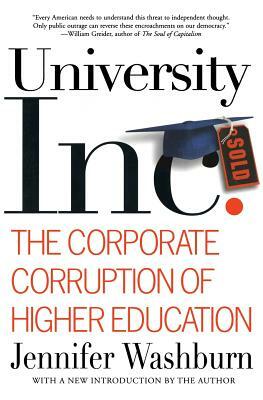 Jennifer Washburn, a scholar and journalist, reveals how the growing influence of corporations over universities compromises the future of all those whose careers depend on a university education, and all those who will be employed, governed, or taught by the products of American universities. Jennifer Washburn is currently a Fellow at the New America Foundation. Formerly a Fellow at the Open Society Institute and a senior research associate for the Arms Trade Resource Center of the World Policy Institute at the New School for Social Research Washburn writes for The Atlantic Monthly, The Nation, Lingua Franca, the American Prospect, and other national magazines. She lives in Brooklyn, New York.